Elder of Ziyon komt nog zeer geregeld zogenaamde burgerslachtoffers op het spoor van de recente Gaza oorlog, die in werkelijkheid bij de gewapende tak van Hamas of de Islamitische Jihad zaten. Hij heeft er een serie van gemaakt waar inmiddels vele tientallen voorbeelden op staan, allemaal met naam en toenaam en foto of video. Blijkbaar neemt geen enkele van de gerenommeerde media de moeite om dit soort uitzoekwerk te doen, want daar komt men niet verder dan het klakkeloos herhalen van de bekende VN cijfers. Zie deze link voor de hele serie, die nog steeds wordt aangevuld met nieuwe voorbeelden. 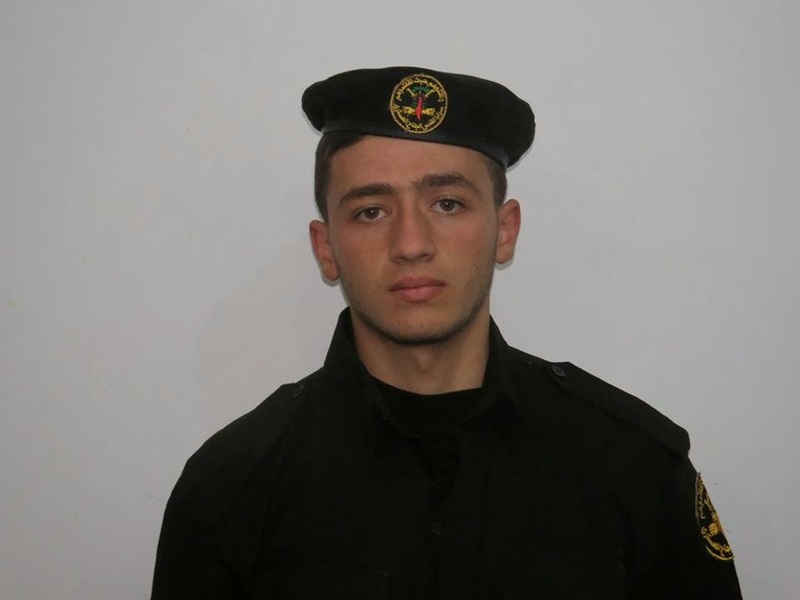 PCHR on July 12 said that "civilian" Haitham Ashraf Zo'rob was killed. More Fake Palestinian Civilians - with videos! Here's his Al Qassam Brigades martyr video. He looks so innocent! 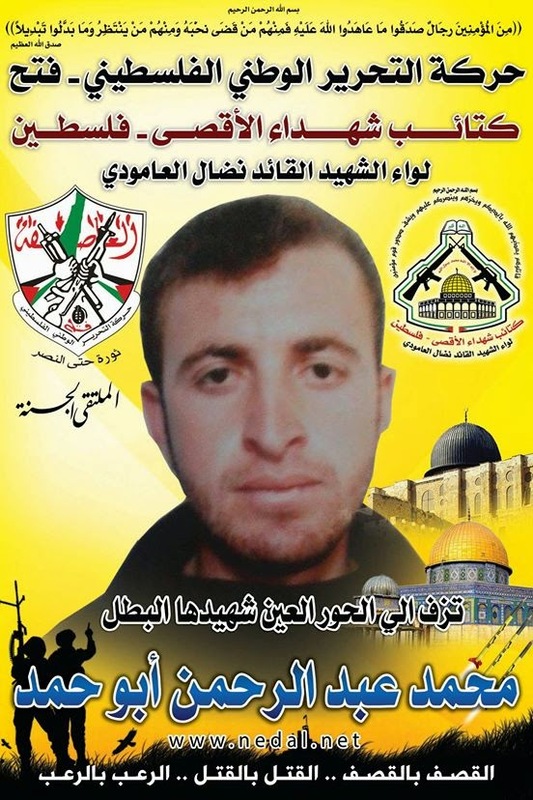 PCHR reported on July 26 that the body of Mohammed Fayez al-Shareef, 55, a "civilian," was recovered. 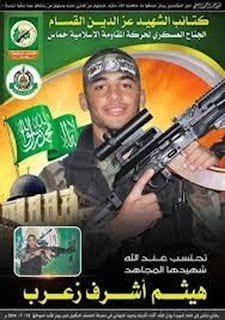 The Hamas Health Ministry reported him as being 23 years old (#932.) 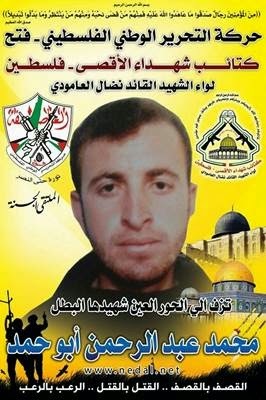 Hamas seems correct - this Facebook page created the day his body was found has lots of photos, and they match the photos and video of a Hamas terrorist. No one else with that name was listed in the "martyr" lists that I could find. 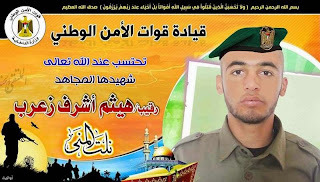 Also, I noted in July (before I started this series) that 17-year old Anas Kandil was with his Islamic Jihad father Yusef and a group of terrorists instead of the rest of his family when the IDF targeted them. Here are father and son in identical Islamic Jihad flags. The entire series of fake Gaza civilians is here. On July 14, PCHR said that Adham Mohammed 'Abdul Fattah 'Abdul 'Aal, 29, was a civilian. 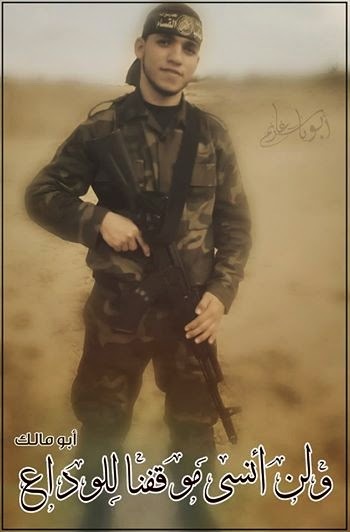 The Fatah Al Nidal Brigades calls him a "mujahid martyr." 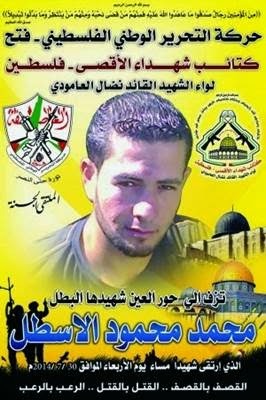 On July 20,PCHR implied, and Al Mezan said, that Mohammed 'Abdul Rahman Mahmoud Abu Hamad, 24 was a civilian. Fatah's Nidal Brigades also call him a "mujahid martyr." 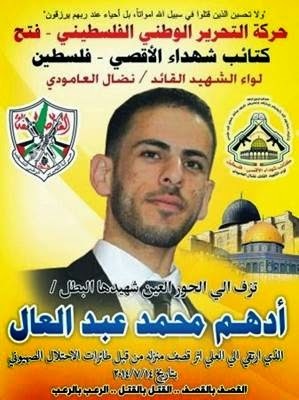 PCHR said on July 30 that Mohammed Mahmoud al-Astal, 25, was a civilian. The same Fatah page describes him also as a "martyr mujahid." His home had one of the families that B'stelem claimed Israel wiped out for no reason; B'Tselem did not identify him as a terrorist and his family as human shields. Hieronder een aantal ooggetuigen verslagen van Israelische soldaten tijdens de recente Gaza oorlog. Ze vertellen allemaal hetzelfde: hoeveel aanvallen worden afgelast omdat er burgers in de buurt zijn, de dilemma’s omdat ze zelf werden beschoten maar terugschieten kan betekenen dat onschuldige kinderen worden getroffen. Hoe ze werden beschoten vanuit scholen en ziekenhuizen. Het zijn verhalen die je vreemd in de oren zullen klinken als je alleen de beelden van het NOS journaal en andere mainstream media hebt gezien, waar vaak wordt gesuggereerd dat Israel lukraak schoot op alles wat los en vast zat. Niet alle soldaten zijn natuurlijk zo zuiver als in de verhalen hieronder, maar dit is op zijn minst ook een kant die het verdient gehoord te worden. Veel soldaten probeerden oprecht om Palestijnse burgers te ontzien, soms met fatale gevolgen voor henzelf of hun maten. .... And you know that this rocket launcher is your target but you can’t attack because you have to wait for clearance to make sure that there are no civilians in the area where the rocket is being launched. Only once you know your target is clear, and there are no civilians nearby, then that is the time to strike. I saw several occasions where people ran to the roof of a building that was warned of a strike, or people staying in the house, and that’s the biggest of all the dilemmas we’re facing. It’s not a question of when something like that happened. Every strike mission I went on had those dilemmas. I can’t recall one strike that I didn’t encounter those exact dilemmas. Many times as a pilot you’re very close to releasing a bomb, and sometimes five seconds or three seconds to launch, you abort the mission because there are civilians in the vicinity and you’re not willing to take those risks. Sometimes the civilians aren’t exactly in the target but they’re close enough that you feel that if you attack the target they could get hurt. So sometimes you come back for landing with all your bombs, because you’re waiting two hours and still the target wasn’t clear. About 20 to 30 percent of the targets I was assigned to were aborted for that reason. Er was een speciale eenheid die erop moest toezien dat een doelwit geraakt kon worden zonder dat er burgers omkwamen. A large percentage of what we’ve been doing is accompanying attacks. So if we’re talking about aerial strikes in the Gaza Strip, any bomb dropped in Gaza had some form of visual intelligence letting them know if we can see any people walking around the area. So if we were about to attack some place which might be near civilian infrastructure—which is most of what we were forced to do since Hamas places themselves within the civilian population—we had cameras in the area to make sure we could minimize civilian causalities as much as possible. So if you’re sent out on a flight to find civilians and make sure attacks aren’t taking place where civilians are, whenever you succeed, you have a feeling of success. I never think, “Well, what are we enabling them to do?” It’s usually only once we’ve landed that we hear attacks have been launched into Israel, and then you look at yourself and say, “Look at how many opportunities have been missed to stop these attacks.” But to protect one innocent life is not worth losing another innocent life. Israeli civilians and Palestinian civilians are innocent. Since the beginning of the Gaza War, Israelis have insisted that Hamas uses its own civilians as “human shields.” Hamas denies it, and certain international voices take their side. Now some of those who saw it with their own eyes are speaking out. It’s been nearly two months since the beginning of Operation Protective Edge, and while it seems the hostilities are tentatively over, what has become clear is that despite claims of victory, the civilians of Gaza have paid the heaviest price. What has also become clear is that no matter how many times Israeli officials blame the high civilian death toll on Hamas, that claim continues to fall on deaf ears. Coming from politicians like Benjamin Netanyahu or Naftali Bennett, the words “human shield” sound more like an Israeli public relations slogan than a tragic truth of guerilla warfare. The world has heard the claim that Hamas hides behind its civilians so many times that today the accusation holds very little weight. Perhaps it’s hard to believe that Hamas, a group claiming to fight for Palestinian freedom, would use Palestinian civilians to protect themselves. Or perhaps it’s simply difficult to imagine that any human being would deliberately put innocent people in danger for the sake of winning a media war. Or perhaps it’s merely a lack of evidence, an absence of stories that tell people what the words “human shield” really mean. Only in the past few weeks have reports began to emerge from journalists who have left the Gaza Strip and now feel safe enough to report on Hamas’s tactic of launching rockets from hospitals, schools, and other civilian infrastructure. According to a new report published by the IDF, Hamas launched more than 1,600 rockets from civilian sites. Yet we still haven’t really heard any substantive, first-hand, on-the-ground stories of Hamas using Palestinian civilians as tools of war. Spoken of even less are the Israeli military’s efforts to limit civilian casualties. Notably, the people we haven’t heard from throughout this information war are the soldiers themselves, the young men who were on the ground in Gaza, fighting the actual war. They, better than anyone else, can speak of their experience fighting against Hamas and the unconventional warfare they faced. Below is a collection of personal stories gathered from soldiers who saw with their own eyes Palestinian civilians being used as strategic elements of Hamas’ fight against Israel. In some cases, only first names have been used in order to protect identities, as some were still in the midst of the operation when interviewed. While they all served in different units, and fought different battles, some from the sky and some from the ground, all of them spoke of their painstaking efforts to protect the lives of Palestinian civilians at the risk of their own lives. Each soldier interviewed for this story had his own personal account, sometimes several accounts, of trying to avoid civilian casualties in the face of Hamas efforts to exploit them. And all of the soldiers shared the same frustration that despite all of their painstaking efforts, the world continues to view Israel’s war in Gaza as a war against humanity, when in their eyes, it is very much a war against a terrorist organization that has taken its own people hostage. Sgt. Jonny S. is a tall, gentle, soft-spoken 24-year-old originally from Maryland. After graduating from the University of Maryland in 2011, he moved to Israel, and began serving in the Givati Brigade in 2013. Jonny had just finished his yearlong training course weeks before being sent into Gaza in July. He returned from Gaza on August 4, days after one of the most difficult days of the war for Israel, and for him personally. Jonny was interviewed on August 12 at the Benji Home for Lone Soldiers in Raanana, where he stays during breaks from the army. In the beginning we were in neighborhoods in Southern Gaza that had all been evacuated a week before. A lot of the houses we searched were booby trapped with explosives. A lot of houses you would go in and find an Israeli soldier uniform, along with Hamas uniforms. You’d go into the house—just a normal house—and see pictures of a family, a wardrobe in a couple’s room, a children’s room. You’d see children’s toys in one room, and in the next room you’d find an AK-47. So there were no lines between who’s a civilian and who’s a terrorist. We also found a number of tunnel entrances in the area, in the middle of a neighborhood. I don’t even think everyone in the neighborhood knows there’s a tunnel in their neighborhood. The entrance would be in a building, covered by a sofa or a closet. It would just be in a house, someone’s kitchen—a tunnel that led into Israel. The whole time we barely saw any terrorists. They stayed deeper in the cities where it’s denser, and where the civilians hadn’t been evacuated. There was one point when there was a 24-hour humanitarian ceasefire and during that time civilians came back to their neighborhoods. So at one point we were in a house of a known Hamas affiliate and the owners actually came back to the house. It was eight of them—a dad and seven boys. They weren’t all his children. Some were his nephews. But one of his sons was a Hamas affiliate. He was in his early twenties. And his house had stayed locked. He said Hamas has ruined their lives here, and that it was great having a good relationship with Israel because it helped him economically. He said that since Hamas came into power, he’d lost the ability to work in Israel, and was just living off of what he had made in Israel. I remember he was joking with my company commander, saying that the best hummus is in Israel, in Petach Tikva. And then he recommended a shakshouka place. It was really funny to hear their conversation. And this was right after we arrested his son. He was a really friendly, nice guy. I think unfortunately he was stuck in the middle of the conflict. We had like 30 people in the house and we were supposed to have food rations for 24 hours. So the company commander sent his radio control operator upstairs to gather all of our food for the next 24 hours. It was like olives, tuna, beans, nothing that delicious, you know, corn and stuff. And he put it all in a big box. On his way out, I was on guard duty with a guy named Hadar. We had just opened up a pack of gummy worms we had gotten as a donation from Israel, and we put that in there as well. And it was nice, the company commander sent the boy off with the cardboard box. It was nice. We didn’t have food for the next 12 hours; we just had some bread, but he told us were going to get new rations in 12 hours and you don’t know when this kid is going to get food again. I really respect him for that. He had a really good heart. This is the same commander who had the conversation with the father about shakshouka. His name was Benaya Sarel. It was an hour after the ceasefire, and I think they purposely put a man that looked like a civilian, just a normal man, to kind of entice us to come out to go talk to him, and then waiting down below were a bunch of explosives and a suicide bomber. On Friday morning [August 1] we went outside and there was a man who was watching from a window. We didn’t know at the time that he was with Hamas. He was about a 40-year-old guy, wearing a blue t-shirt. He didn’t have a gun on him, or not that we saw at least. He had his hands over a windowsill, looking out from the window of a 2-story building. It was an hour after the ceasefire had taken effect. It had gone into effect at 8 AM that morning and it was a little after 9 AM. So it was the company commander that I keep talking about, Benaya Sarel, Hadar Goldin, and Liel Gidoni, the radio operator who went upstairs to get the food for the kid the other day. It was six of us: those three, me and two others. So we see this guy who looks like a civilian, with his hands leaning on the windowsill. He wasn’t supposed to be there. This area was supposed to be evacuated. Benaya said he wanted to go talk to him, to see if he could get any information from him. So those three went in one direction to talk to him, and I went the other way with the other two guys. Benaya didn’t feel any imminent danger, or else he wouldn’t have done that. He just didn’t want the guy to run away and get scared. So the three of them walked towards him, and from my point I heard shots ring out and an explosion. And this was supposed to be during a ceasefire. By the time we got there, it had ended. What had happened was that a suicide bomber had come out of a tunnel on the first level of the building where that man was, and had killed all three of them. And I guess the man up above and whoever else was in there, I think it was a few of them, they had dragged Hadar’s body down the tunnel that was on the first floor. I think the whole thing was a trap. It was an hour after the ceasefire, and I think they purposely put a man that looked like a civilian, just a normal man, to kind of entice us to come out to go talk to him, and then waiting down below were a bunch of explosives and a suicide bomber. When we heard the shots, we ran back to get to them but it had already ended. When we got there, we saw two dead bodies: Benaya and Liel. 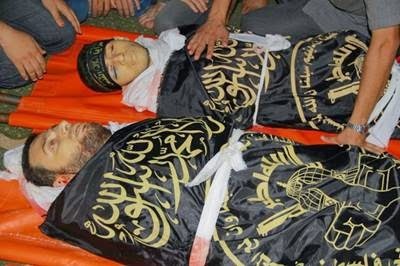 They had died immediately from the explosives and the suicide bomber. The suicide bomber was dressed in an Israeli uniform. And that ended up being the tunnel we were looking for all along. Our assistant company commander went into the tunnel after to get Hadar’s body back, not knowing if Hadar was alive or not. And from what he said, it was a very elaborate tunnel. He said you could stand two people, and he’s taller than me, about a meter and 80 or 85 [centimeters—approximately six feet]. He said you could stand tall; you didn’t need to crouch at all. And there was room for two people to walk side by side. And he said there were twists and turns and everything. There was a ridiculous amount of weapons there; it was like a weapons storage center. There were bags of ready-made kits with a gun in there, a vest, and gun magazines. So the terrorists could just grab it and just go out and make an attack. So he went down there and he said he saw that they had dragged Hadar’s body. He saw a trail of blood and just kind of followed it for a while. He realized that it went on for a long time so he came back out. Benaya used to say that the worst kind of event is when you can’t fight back, when you can’t react. That’s exactly what that was. The worst part was that we got there and there was nothing for us to do. All we could do was put them on stretchers and send them back to Israel. Benaya was an amazing commander. People really respected him. There wasn’t a person that didn’t look up to him. But there’s no commander in the army who would have shot that guy in the window who didn’t have a gun on him. When I first saw him, I was looking through the zoom on my gun and my red dot was on him but I wasn’t going to shoot him, because he didn’t have a gun. Even though he wasn’t supposed to be there. I think that’s just part of the IDF’s moral compass. That’s not the way we fight. During guard duty I would sit with Hadar and he would tell me that he’s engaged, getting married in 2 months. He said he wanted to be a doctor after the army. I remember we were sitting on guard duty and he drew a picture of me, it was a goofy picture of a soldier. It was funny. He was just a nice guy. “Het idee bestaat dat er aan militaire spionage geen morele dilemma’s vastzitten en dat spionage er alleen maar toe bijdraagt dat onschuldigen niet getroffen worden”, schrijven ze in de brief. Ook zou personeel geïnstrueerd zijn om alle schadelijke details over het privéleven, waaronder seksuele voorkeur, erfelijke ziektes, ontrouw en financiële problemen te melden, zodat het eventueel gebruikt kan worden als chantagemiddel. Wat de media niet meldden zijn de verschillende reacties hierop, ook van andere soldaten uit deze eenheid, die zich absoluut niet in dit beeld zeiden te herkennen. In een brief, getekend door 150 militairen, schreven zij o.a. “We understand the need to defend ourselves, and intelligence is by definition something dirty, and compared to other countries it really is self-defense. But with the Palestinians, the main objective is to maintain the military rule in the West Bank,” one of the reservists told Siha Mekomit magazine. 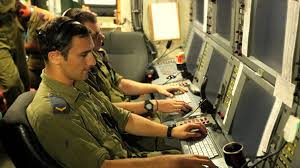 “Unit 8200 is dedicated to gathering intelligence that allows Israeli Security forces to carry out their mission, which is to defend Israeli civilians,” an IDF spokesman told the Times of Israel. The spokesman said that the IDF had no record that any of the violations alleged in the letter ever took place, adding that the fact the reservists made their complaints public before turning to military officials suggested that they were politically motivated. “I have friends in foreign air forces who think that the efforts we take to avoid civilian casualties are outrageous, bordering on irresponsible for a military tasked, first and foremost, with defending its own citizens. Let’s be clear: calling and sending text messages to civilians warning them to evacuate a structure, and instructing them on exactly where to go for safety, demands tremendous resources. How do you get the telephone numbers? How do you plot a route to safety for civilians in each individual circumstance? How do you communicate it clearly, in Arabic, so that the specific warning is actionable? Of course, you are also providing the enemy with actionable intelligence. The ‘Knock on the roof’ policy is not just a warning to civilians. It is also a statement to the enemy saying ‘This is what we plan to do in five minutes, and this is exactly where we plan to do it.’ This is obviously a questionable military tactic. It allows Hamas forces to remove rocket launchers from target structures, prepare ambushes for IDF forces, or as has been a deeply cynical modus operandi, send civilians into these structures, forcing us to abort important missions, or incur terrible consequences. In ieder leger gaan dingen mis, ook bij NAVO bombardementen worden soms burgerdoelen geraakt met tientallen onschuldige slachtoffers tot gevolg. Zoiets roept altijd morele vragen op, en wanneer dit gebeurt binnen democratische landen, worden dergelijke missers doorgaans grondig onderzocht, juist omdat ze tegen de eigen waarden en procedures indruisen. Zo ook in Israel, waar men een aantal incidenten tijdens de recente Gaza oorlog aan het onderzoeken is. VN onderzoeken worden doorgaans gereserveerd voor landen die zelf geen deugdelijk onderzoek kunnen doen omdat ze worden geleid door een wrede dictator en/of door en door corrupt zijn en de daarvoor benodigde onafhankelijke instituties missen, behalve voor wat betreft Israel, dat het meest door de VN bekritiseerde en onderzochte land is. Hoewel de Israelische bevolking naar rechts is opgeschoven en verhard lijkt, is zij in staat wanneer zaken echt te ver gaan haar stem te laten horen. Het cynische gebruik van de eigen bevolking door Hamas heeft zeker aan deze verharding bijgedragen. Toch was er ook tijdens de recente oorlog nog ruimte voor empathie, zoals Ankie Rechess in een van de zeldzame evenwichtige reportages op het NOS journaal (of was het Nieuwsuur?) liet zien. De enorme buitenlandse focus op en bemoeienis met Israel is niet alleen onnodig, maar werkt vaak ook averechts en wakkert het nationalisme en het gevoel er alleen voor te staan verder aan. De buitenlandse aandacht voor misstanden in het Israelische leger, en voor critici die deze aan de kaak stellen, is disproportioneel. Hoe vaak de zaken zijn voorgekomen die de dienstweigeraars in hun brief hekelen, is niet te zeggen. De betreffende dienst was niet in staat om gedetailleerd op de aantijgingen in te gaan omdat het gevoelige informatie betreft. Dit is een reden waarom zij in Israel voor lafaards zijn uitgemaakt. Het leger is doorgaans niet in staat snel en gedetailleerd op kritiek in te gaan, omdat zaken uitgezocht moeten worden en omdat niet alles met de buitenwereld gedeeld kan worden. Daarom verdient het aanbeveling om dergelijke kritiek zoveel mogelijk intern aanhangig te maken, zodat er een kritische interne discussie is en blijft over waar de grenzen liggen en wanneer die overschreden worden. Er zullen altijd grensgevallen zijn, en morele dilemma’s; iedere inlichtingendienst en ieder leger kent die. Het is vreemd en ook niet kies dat juist de Israelische problemen en fouten continu zo in de spotlight staan. Wanneer dan ook nog het Israelische weerwoord ontbreekt in de media is dat helemaal bedenkelijk. Op 10 september verscheen op de sites van o.a. het AD, Trouw en de VK een bewerkt artikel van persbureau Belga over een donorconferentie voor Gaza. Deze zal op 12 oktober plaatsvinden in Cairo. Het gaat om een uiterst beknopt artikel van 6 zinnen, maar waarvan de eenzijdigheid er zodanig van afdruipt, dat de indruk wordt gewekt alsof enkel Israël de schuldige zou zijn van alle ellende in Gaza. De conferentie is bedoeld voor de wederopbouw van Gaza. So far so good, en dat die heropbouw er moet komen staat natuurlijk buiten kijf. Dat Gaza deels in puin ligt is echter lang niet alleen aan Israël te wijten, al suggereert het artikeltje dit wel. Gaza zou de afgelopen jaren al ‘driemaal het doelwit zijn geweest van een grootschalig Israëlisch militair ingrijpen’ en zou ‘door Israëlische embargo’s van de buitenwereld zijn afgesloten’. En passant wordt ook nog gemeld dat ‘bij het conflict meer dan 2.000 doden vielen, voor een groot deel burgers’. Je begint je af te vragen of de redacties de realiteit uit het oog verloren hebben. Om maar eens met enkele feiten te komen: van afsluiting van de buitenwereld is beslist geen sprake. Alles, behalve wapens en een korte lijst van producten voor tweeërlei gebruik (als wapen en voor normale doeleinden), mag gewoonlijk Gaza binnen. Het tegenhouden van producten voor tweeërlei gebruik is trouwens helemaal gerechtvaardigd gebleken door de ontdekking van Hamas’ enorme netwerk van tunnels, waarvoor héél véél cement is gebruikt. Ondanks de invoerbeperkingen bleek dat er toch genoeg cement was voor de miljoenen kostende terreurtunnels. Het geld dat aan die tunnels werd gespendeerd, had beter kunnen worden uitgegeven aan woningbouw en bescherming van de burgerbevolking in Gaza. Dit laatste brengt mij op de doelstelling van de geplande conferentie in Cairo. Die is, zoals al gezegd, bedoeld als financiële bijdrage voor de heropbouw in Gaza. Maar wat moet ik daar onder verstaan? Geldt dit ook voor het aanleggen van nieuwe tunnels? Je mag -soms tegen beter weten in- toch hopen van niet. Er zijn helaas veel slachtoffers gevallen onder de Gazanen. De cijfers over het aantal burgerslachtoffers aan Palestijnse kant bleken echter niet betrouwbaar, en om dan op te merken dat ‘een groot deel burgers’ was, is uiterst vaag of zelfs laf. Elders op deze site is al eens een artikel besteed aan de slachtoffers in Gaza. Uit een analyse van de leeftijdsopbouw van de slachtoffers en de man-vrouw verhouding, blijkt dat er waarschijnlijk een flink aantal strijders bij zit: 60% bestaat volgens Al Jazeera uit mannen tussen de 18 en 38 jaar. In totaal is het aantal mannelijke slachtoffers zelfs zo’n 80%. Dat ook die mannen lang niet allemaal burgers waren blijkt uit het feit dat er Hamasstrijders waren die tijdens de meest recente oorlog in burgerkleding vochten of zelfs in uniformen van de IDF. Er zijn zeker ook burgers zijn omgekomen die echt onschuldig waren, waarschijnlijk vele honderden. Dat is op zichzelf heel triest, maar dit kan zeker niet alleen aan Israël worden verweten. Hamas gebruikt menselijke schilden en misbruikte VN-faciliteiten. Hamas schendt voortdurend het oorlogsrecht, ook door zich te verstoppen in/achter medische voorzieningen zoals ziekenhuizen en ambulances. Veel media hebben de neiging om vooral met koppen boven de artikelen te suggereren dat Israël de aanvallende partij zou zijn. De zogenoemde aanvallen van Israël waren een reactie op voorafgegane langdurige raketaanvallen door Hamas op Israël. Dit land reageerde daarop en niet andersom. Kortom, de oorzaak van de oorlogen en de ellende is te wijten aan de praktijken van Hamas en als gevolg daarvan moet Israël reageren om haar eigen burgers te beschermen. Een artikel zoals op 10 september is geplaatst is buitengewoon eenzijdig en misleidend. Door Hamas en haar raketten geheel niet te noemen, wordt de indruk gewekt dat Israël zonder reden herhaaldelijk de bevolking van de Gazastrook beschiet en isoleert. Aan dit laatste werkt overigens ook Egypte actief mee, dat eveneens de radicale moslims vreest. En voor alle duidelijkheid: Israël vocht niet tegen de Gazanen, maar tegen Hamas, dat helaas wel veel aanhang heeft. Het is nog te hopen dat de redacties door tijdsgebrek de mist in zijn gegaan en te makkelijk een zeer eenzijdig bericht van Belga hebben overgenomen. Ernstiger zou zijn, dat zo’n bericht mede kon worden toegelaten door een tunnelvisie op het Midden-Oosten conflict. Een ding is wel zeker: in dit korte maar zeer misleidende bericht ontbreekt elke vorm van zorgvuldige journalistiek zoals vastgelegd in de Code van de Raad voor de Journalistiek. Oorlogsmisdaden naar Den Haag toegespeeld? Sinds november 2012 werd Palestina (de Westbank plus Gaza) een niet-lid waarnemer van de Algemene Vergadering van de VN. Hiermee werd de weg geeffend voor Abbas om ook naar het ICC in Den Haag te gaan om Israel aan te klagen voor oorlogsmisdaden. Malki, de minister van Buitenlandse Zaken van Palestina, ging vorige maand speciaal voor advies naar Den Haag. Een officiele aanklacht van zijn regering was nodig om het ICC te betrekken. Alles wees er op dat Abbas door zou zetten ondanks dreigementen van Israel tegenmaatregelen te nemen. Ook tijdens de laatste ronde van vredesonderhandelingen onder leiding van Kerry dreigde Abbas al deze stap te zullen zetten, maar ook Amerika was tegen en Abbas bond in. Bovendien werd Abbas er op gewezen dat dan ook de weg open stond om Palestina aan te klagen wegens terroristische activiteiten en oorlogsmisdaden van Hamas. Nu heeft de dreiging van een aanklacht tegen Palestina ook een mogelijke aanklager opgeleverd. Shurat Hadin, een Israelische NGO, wil Meshal, de leider van Hamas aanklagen. Hij wordt, als verantwoordelijke voor Hamas, beschuldigd van executies zonder proces. Meshal heeft een Jordaanse nationaliteit en Jordanie is lid van het ICC. Daarnaast is Gaza een onderdeel van Palestina en dus ook vervolgbaar volgens Shurat Hadin. Hamas heeft wel gezegd onlangs aan een onderzoek van het ICC deel te willen nemen, maar niemand neemt dat serieus omdat er duidelijke bewijzen van oorlogsmisdaden van Hamas bestaan en zij zelf nooit iets onderzoeken. Abbas moet nu beslissen wat te doen. 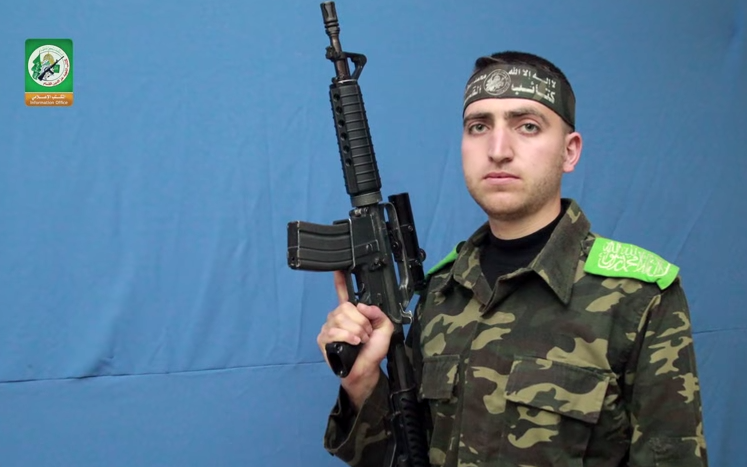 Hier komt nog bij dat de verhoudingen tussen Abbas en Hamas met de dag verslechteren en dat de eenheidsregering op knappen staat. Dat lijkt niet het juiste moment om dan voor Gaza naar het ICC te gaan. Maar, zoals Al Jazeera berichtte, heeft Abbas nog niet de noodzakelijke stappen ondernomen. Intussen is Israel wel al onderzoeken begonnen naar het eigen militaire optreden. Dat laatste maakt een onderzoek van ICC minder waarschijnlijk. Al Jazeera is reporting that the ICC “did not receive a positive confirmation” from the Palestinian Authority’s foreign minister, Riad Malki, to go ahead with a war crimes investigation. The Palestinian Authority has prevented war crimes investigators from probing actions by Israel and Hamas during Operation Protective Edge, the Qatar-based pan-Arab news network Al Jazeera is reporting on Friday. Citing a confidential letter signed by the International Criminal Court’s top prosecutor, Al Jazeera is reporting that the ICC “did not receive a positive confirmation” from the Palestinian Authority’s foreign minister, Riad Malki, to go ahead with a war crimes investigation that was originally requested by the PA’s justice minister. Malki met last month with officials of the ICC in the Netherlands to discuss the war in the Gaza Strip. The meeting was held to inquire about the legal procedures required for the “State of Palestine” to join the ICC and sign the court’s founding treaty, the Rome Statute, in order to take action against possible Israeli war crimes, Malki’s office said. A previous attempt by the PA to join the ICC failed because “Palestine” was not recognized as a country. In November 2012, it obtained the status of non-member observer of the UN General Assembly – a move that allows it to join the ICC and other international agencies and treaties. Bensouda’s office said in a short statement that the court did not have jurisdiction over the alleged war crimes, as Palestine has not signed up to the ICC’s Rome Statute. Nor has the office received any “official document from Palestine indicating acceptance of ICC jurisdiction or requesting the prosecutor to open an investigation into alleged crimes following the November 2012 UN General Assembly resolution,” the statement said. The meeting between Malki and the chief prosecutor came at the latter’s request and was held “for the foreign minister to seek clarification on the different mechanisms for a state to accept the jurisdiction of the ICC,” Bensouda’s office said. Shurat Hadin announced on Wednesday that it has formally requested that the International Criminal Court prosecutor open an investigation into alleged war crimes committed by Hamas leader Khaled Mashaal during Operation Protective Edge. Ban Ki-Moon laat weer van zich horen. Ban Ki-Moon heeft nadat hij bijna hysterisch reageerde op het beschieten van VN-scholen door Israel even niet gereageerd. Weliswaar bleken in ten minste drie VN-scholen raketten verscholen, werd er vanuit VN-scholen geschoten en doodde een mortiergranaat vanuit een school een Israelisch 4 jarig jongetje, maar dat werd even vergeten. Maar nu heeft Ban het helemaal bedacht. Ondanks dat de IDF zelf onderzoek gaat doen http://honestreporting.com/idns-09102014-idf-investigates/ , gaat Ban, ook nog eens nadat een VN-commissie onderzoek zal hebben gedaan naar Israelische misdaden in Gaza tijdens de oorlog, ook nog zelf onderzoek doen naar de beschieting van die scholen. http://www.jpost.com/Arab-Israeli-Conflict/UNs-Ban-mulls-investigation-into-attacks-on-UNRWA-facilities-during-Gaza-operation-374925 . De ene misdaad komt nu eenmaal harder aan bij Ban dan de andere en Palestijnse misdaden komen voort uit hun zieligheid. Daarom geef je raketten uit die scholen ook gewoon terug aan Hamas. Anders moeten ze eerder nieuwe kopen. En dat is toch prioriteit nummer 1 bij Hamas: raketten en tunnels om Israel onverwacht van binnenuit aan te vallen. Daarom is er meteen met de wederopbouw in Gaza begonnen, niet van de gebouwen die verwoest zijn, de huizen, ziekenhuizen en andere voorzieningen voor de burgers, maar met de terreurtunnels. http://www.algemeiner.com/2014/09/09/palestinian-islamic-jihad-begins-digging-new-tunnels-in-gaza-report-video/"We are now inside one of the tunnels of the al-Quds Brigades," a masked, uniformed Palestinian digger tells the reporter, "on which work began the minute the war on Gaza ended and the cease-fire was declared." Je moet je prioriteiten altijd goed stellen. Maar ja, die tunnels zijn erg duur en daarom blijft er niets over voor de echte opbouw van Gaza. Dat is gelukkig geen probleem, want, zoals gebruikelijk, staat de wereld klaar massa`s geld aan Hamas te schenken http://www.jpost.com/Arab-Israeli-Conflict/Egypt-to-host-donors-for-Gaza-reconstruction-conference-in-October-374895. Dat wordt in Belgie en Nederland (Trouw) verkocht aan de lezers alsof Hamas ook wel erg zielig is doordat Israel nu al drie keer Gaza aanviel terwijl ze zelf echt niets deden. Althans dat laatste wordt gewoon weggelaten. De lezer zou anders maar kunnen denken dat Hamas misschien zelf verantwoordelijk is en op zijn minst toezeggingen moet doen eerst eens voor zijn burgers te zorgen . http://www.trouw.nl/tr/nl/4496/Buitenland/article/detail/3745233/2014/09/10/Donorconferentie-voor-Gaza-in-Cairo.dhtml. Je zou denken dat na al de bewijzen van de oorlogsmisdaden van Hamas mensen gaan nadenken of er misschien bij Hamas wat moet veranderen om een nieuwe oorlog te voorkomen, maar waarschijnlijk krijgt Israel achteraf de volle verantwoordelijkheid voor alle ellende weer toegespeeld en zal het roepen om sancties snel volgen. Eigenlijk is dat al begonnen, want een groot deel van de leden van de PvdA heeft nu al besloten om op sancties tegen Israel aan te dringen. Zij hebben helemaal geen onderzoek naar omstandigheden nodig. Onze media (zoals Trouw) werken dat in de hand door bhun eenzijdige berichtgeving. An officer in the prosecutor's office decided not to open an investigation into a strike on a journalist in Gaza after it was discovered that he was a terror operative, suspected of carrying a missile in his vehicle. In a separate development, UN Secretary General Ban Ki-moon said the UN will investigate (apart from the UN Human Rights Council) why its Gaza facilities were targeted, the deaths of UN personnel, an how Palestinian rockets wound up in UN schools. Op 12 oktober vindt in de Egyptische hoofdstad Caïro een conferentie plaats van internationale donors die financieel willen bijdragen aan de heropbouw van de Gazastrook. .
Veel gebouwen in de Palestijnse landstrook werden verwoest bij de wekenlange Israëlische beschietingen deze zomer. In Gaza vielen bij het conflict meer dan 2.000 doden, voor een groot deel burgers. Het is de derde keer in enkele jaren tijd dat een donorconferentie voor Gaza wordt gehouden; het gebied is de voorbije jaren dan ook driemaal het doelwit geweest van een grootschalig Israëlisch militair ingrijpen. De Gazastrook wordt door Israël door middel van embargo's hermetisch van de buitenwereld afgesloten. .
CAIRO - Egypt will host a donors conference on the reconstruction of the Gaza Strip on October 12 in Cairo following the recent conflict between Israel and the Palestinian terror movement Hamas, the Egyptian foreign minister said on Tuesday. The announcement carried on the state news agency came after Norway's foreign minister held talks with Egyptian President Abdel Fattah al-Sisi. Egypt and Norway will chair the international conference. Rebuilding Gaza will cost $7.8 billion, the Palestinian Authority said this month, in the most comprehensive assessment yet of damage from a seven-week war with Israel during which whole neighborhoods and vital infrastructure were flattened. The cost of rebuilding 17,000 Gazan homes destroyed during fighting would be $2.5 billion, the Authority said, and the energy sector needed $250 million after the Strip's only power plant was destroyed by two Israeli missiles. Egyptian Foreign Minister Sameh Shukri said invitations to conference would be extended soon. Fighting between Israel and the Islamist group Hamas during July and August in Gaza killed over 2,100 Palestinians, most of them civilians, along with 64 Israeli soldiers and five civilians. A ground incursion and bombing from the land, air and sea caused huge destruction in Gaza, while Palestinian rocket fire drove many Israelis from border communities, hit Israel's summer tourism revenues and briefly shut down its main airport. 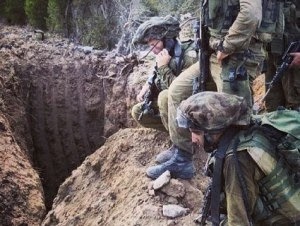 IDF soldiers discover a terror tunnel. Photo: IDF. Palestinian Islamic Jihad terrorists claim they are digging attack tunnels from Gaza to use against Israel in future battles, according to a report published by the Qatari Al-Jazeera television network on September 4th. IDF ground and air forces destroyed 32 tunnels during the course of 50 days of fighting in Operation Protective Edge, meant to foil such excavations beneath Israeli territory, as well as stop incessant rocket fire. Many of the tunnels ended in and adjacent to Israeli civilian communities alongside the coastal enclave. "We are in a tunnel that is being dug by resistance fighters in this border area," the reporter says as he makes his way down the cramped concrete-walled passage. "What is remarkable about this tunnel is that it has been dug recently," he notes. "As you can see, it is still being dug." "We are now inside one of the tunnels of the al-Quds Brigades," a masked, uniformed Palestinian digger tells the reporter, "on which work began the minute the war on Gaza ended and the cease-fire was declared." The tunnelers take the reporter to a opening in another tunnel, where uniformed men demonstrate setting up and deploying a portable Kornet anti-tank missile. In another scene they demonstrate quickly deploying shoulder-fired anti-aircraft missiles. Wat kan Israel van Hamas verwachten?